Electric ovens occupy least volume, are low cost and require least maintainance but have high running cost. These ovens have 150 mm resin bonded insulation and give minimum heat loss. Generally two doors are provided on two sides. 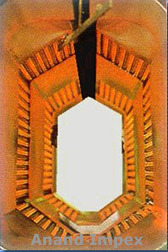 Suitable blowers circulate the hot air inside the oven giving uniform temperature distribution throughout the oven cross section. Blowers are indirectly driven. The control panel has a digital temperature indicator - controller, hooter (0 to 30 minutes) with timer for indication of cycle completion. The heaters used are G.E. Elpro make Encoloy heaters. Oven has inbuilt tracks for provision of ground trolley. 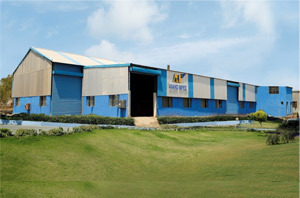 These ovens utilise diesel (HSD / LDO) as a fuel. The fuel is fired with the help of imported burner inside the heat exchanger made of stainless steel. The blowers mounted in the heater box circulate the oven air over the heat exchanger thus oven air is heated indirectly. Flue gases after burning the fuel are exhausted to the atmosphere through chimney. 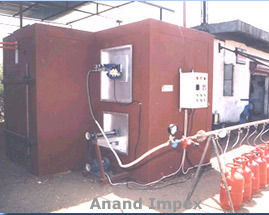 The burner is fully automatic and controlled by temperature controller. The burning is totally clean without formation of any soot. 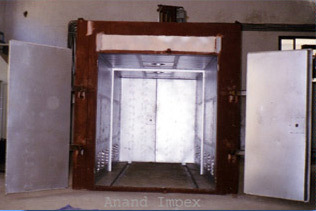 Heater box is generally top mounted to save floor space. However it can be mounted on any side of the oven, Initial cost of these ovens is higher but running cost is less than 60 % as compaired to electrically heated ovens. These ovens utilise gas (LPG ?NG) as a fuel. 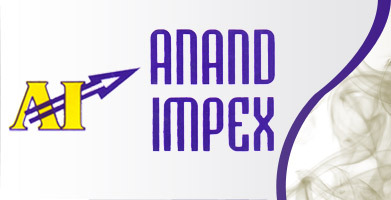 The fuel is fired with the help of imported burner inside the heat exchanger made of stainless steel. The blowers mounted in the heater bor ciculate the oven air over the heat exchanger thus oven air is heated. Flue gases after burning the fuel are mixed in the oven air. Part of the oven air is exhausted to the atmosphere through chimny. The burner is fully automatic and controlled by temperature controller. The burning is totally clean without formation of any soot. 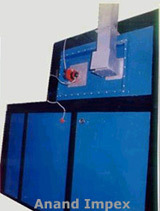 Heater box is generally top mounted to save floor space. However it can be mounted on any side of the oven. Initial cost of these ovens is higher but running cost is less than 50 % as compared to elec. ovens. These ovens are recommended where the article are plain, shallow with very small depth and thickness. The heating is achived by radiation energy. The areas to be coated should be equallly exposed to the infrared emmiters. These ovens are very compact and occupy least space. The curing is achived within 3 minuits approx.